Even skilled graphic designers often struggle with creating effective proposal graphics. While the usual rules of good graphic design still apply, proposal graphics come with their own unique set of challenges and requirements. In this post, we’ll look at some quick tips that can mean the difference between missed opportunities and winning graphics. But first, let’s dispel two common myths. Myth 1: Creating proposal graphics requires expensive or difficult software. This is a common misconception. The truth is that many effective proposal graphics are made in widely available programs like Microsoft’s PowerPoint or Visio. For graphics requiring more precision, Adobe Illustrator may be quicker and easier, but it’s not an absolute necessity—use the tools with which you’re comfortable. Myth 2: Proposal graphics need to be flashy. The truth is that clarity is much more important than pizzazz. For instance, a simple organizational chart using only straight lines, rectangles, and a couple of well-chosen colors suggests the orderliness and elegance of your solution. Meanwhile, a chart with a rainbow of colors and lines zigzagging everywhere suggests that your solution is convoluted, confusing, high-risk, and so on. While that second graphic may be more visually striking, it’s not nearly as compelling as the first. Quick Tip 1: Only use graphics for important points. Nearly anything in a proposal could be represented with a graphic, and since very text-heavy pages look dull, it can be tempting to fill a proposal with graphics (especially if you have a library of old graphics you can reuse). But page space is nearly always a scarce resource in proposals. When using a graphic, make sure that it’s illustrating a key point. Graphics call a lot of attention to themselves, so make sure you’re using them to highlight major win themes, discriminators, etc.—those essential points you most want the reader to remember. On the other hand, if you simply need to provide some visual interest to a block of text, consider using a callout box rather than a true graphic—callout boxes are visually appealing and let you highlight key proof points without sacrificing much page space. Quick Tip 2: Make sure the graphic stands on its own. A common mistake is to include proposal graphics that require lengthy explanations in the body text surrounding them. Whenever you include a graphic, ask yourself, “If I saw this graphic alone, with no other text, would I understand it?” Evaluators are busy, and they’re not going to spend several minutes trying to decipher a difficult graphic. Moreover, if you need a block of text to explain what the graphic is supposed to show, then the graphic is just wasting space—the text could do that work alone. Aim for self-contained graphics that can be interpreted in 10 seconds or less. Any longer and an evaluator is likely to give up and move on. The body text around the graphic should elaborate, not explain. Quick Tip 3: Carefully craft your action captions. The captions below a graphic stand out from the rest of the text—a hurried evaluator skimming the page will naturally pay more attention to them than any one sentence in the body text. For that reason, you want to make sure your action captions effectively present your key points. Company X’s Proposed Organizational Structure. Company X’s Proposed Organizational Structure. Our proposed structure allows the Government direct access to senior decision-makers and subject matter experts. Company X’s Proposed Organizational Structure. Our proposed structure allows the Government direct access to senior decision-makers and subject matter experts, allowing for rapid response to urgent or unforeseen Government requirements. The first option is a missed opportunity. Anybody looking at an organizational chart should be able to tell immediately that it is in fact an organizational chart—if not, there’s something seriously wrong with the graphic! This caption is just wasted space. The second option is better, as it calls attention to a key feature of the organizational structure. But it doesn’t explain why that feature is a benefit to the customer—it stops short and hopes that the evaluator will make the desired inference. That may or may not happen. The third option is the best of the bunch. It calls attention to a feature of the graphic, and explains why that feature is beneficial to the customer. An evaluator who skims through the body and reads only the caption will still understand the key benefit that makes your solution the right choice. Quick Tip 4: Pay close attention to fonts. Most proposals have font restrictions in place (e.g., all text must be Times New Roman 12-point). Unless the RFP specifically states otherwise, these restrictions apply to graphics as well as body text. In other words, if you reuse an old graphic and forget to convert it from Arial 10 to Times New Roman 12, your proposal is non-compliant and at risk of rejection. Quick Tip 5: Always build graphics at actual size. The most common compliance problem isn’t using the wrong font when building the graphic, but rather, accidentally making the text too small after the fact. Inexperienced proposal graphic designers will often create a graphic using the correct font size in the PowerPoint or Illustrator source file—but when they go to move the graphic into the proposal document, they find that it’s too big. So they shrink it down to fit the page—and now the font is too small, rendering the graphic non-compliant. To avoid this problem, always design your graphics at actual size. For instance, if your proposal has 8.5”x11” pages with 1-inch margins, you have a maximum of 6.5”x9” of usable space. Make sure you set your slide (PowerPoint) or artboard (Illustrator) to those dimensions before you start building the graphic. When you insert it into the proposal, it will be exactly the size you need, eliminating the compliance risk. Never shrink graphics to fit into the proposal document. If they don’t fit, go back to the source file and make the appropriate changes there. Conversely, never expand small graphics to fit the page either—this leads to blurry, distorted graphics. Instead, go back to the source file, where graphics can be resized without loss of quality. Finally, designing your graphics at actual size has the additional benefit of making it clear from the beginning how much page space the graphic will take up. In severely page-limited proposals, shaving that extra half inch off the side of the graphic can make all the difference. Just by incorporating these five quick tips, you can immediately improve your proposal graphics and, by extension, your proposals and boilerplates as a whole. For further assistance with graphics, page layout, or any other part of the proposal process, contact Global Services today! Courtney Fairchild is the President and CEO of Global Services. Global Services is a niche consulting firm focused on proposal management, proposal compliance, and GSA Schedule maintenance for federal contractors. Over the past twenty years she and her team have successfully prepared, negotiated, and managed 2,500+ federal contracts for Global Services’ clients, totaling over $20 billion dollars. Ms. Fairchild has been with the company since it was founded in 1996 and headed up the Global Services GSA Schedule Programs division from its inception. GovCon Voices is an occasional feature dedicated to providing SmallGovCon readers with candid news, insight, and commentary from government contracting thought leaders. 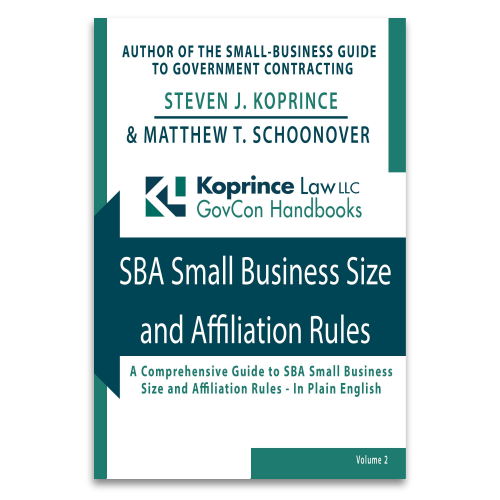 The opinions expressed in GovCon Voices are those of the individual authors and do not necessarily reflect the opinions of Koprince Law LLC or its attorneys. 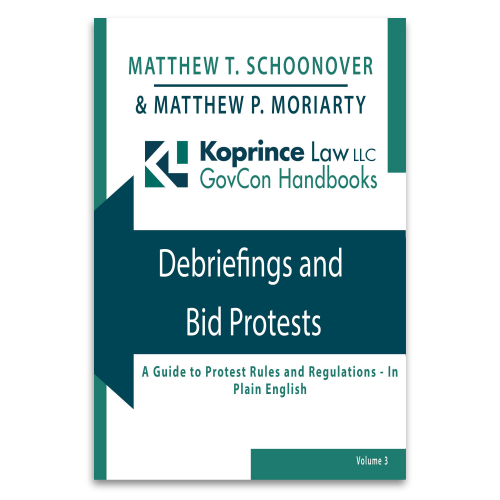 This entry was posted in GovCon Voices and tagged Courtney Fairchild, GovCon Voices. Bookmark the permalink.